I know none of you have forgotten Creepy Pink Burned Bear. As of tonight's flash-forward, CPBB is now evidence, being fished out of the pool by a guy in a hazmat suit, bagged, and lined up in a long row of other bags. This isn't going to end well, is it? Tonight's episode is the kind I love from this show: minimum big events, maximum exploration of the characters' claustrophobic psychological spaces. Not many dramas can pull that off with the tension and revelatory quality on display here. For now, Walter is ready to lay off the meth business. He needs time with his family so things settle down, or so he tells Jesse when he meets him at the convenience store and slips him $600 of their drug proceeds. And although he scares Skylar senseless when she wakes up to an empty bed, it's only because he's making pancakes for everyone! But it all goes pear-shaped when he faux-casually tries to explain the whole second cell phone fiasco as his cell phone alarm going off to remind him to take his medication, slipping it in while suggesting they both go to UNM for a fiction writing conference. Suddenly she's the one taking off without notice, leaving him behind to stew and worry. "Is everything okay?" he asks her when she comes back. He finds out his son likes to be called Flynn and has been getting driving lessons from his friend Lewis. "What's wrong with him?" he asks. Turnabout, Walter. No fun not knowing what's going on with your loved ones. So here are Jesse's options. Plan A: Move in with your old bandmate Pete ("We should totally get Bloodhammer up and running again!"). Unfortunately, Pete's wearing a polo shirt and trying to get his preschooler to eat his carrots, and his wife is none too happy to see Jesse. Plan B: call everybody else you know and get turned down. Plan C: have your bike stolen with all your worldly possessions in a milk crate tied to the back. Which leads to Jesse climbing the fence into the storage lot to get the Winnebago, winding up covered in blue-green portapotty chemicals, pulling on a gas mask, and collapsing in tears. Even in his own RV he can't catch a break; Badger's cousin demands two grand to redeem it, and immediately starts making calls to sell the "cook stuff" inside. But Jesse has reached the end of his rope. The Winnebago and the lab equipment (which he packed in there from the basement last week to keep it away from the DEA) are all he has left. So he grabs the keys, busts down the gate, and heads for … Walter's street. 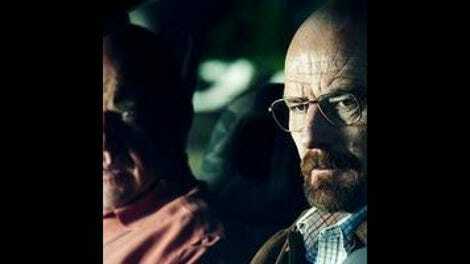 At the end of the episode, Walter apologizes for "everything. My desire for privacy, my emotional unavailability …" Skylar agrees they shouldn't "lose contact." But she's waiting for the truth, and Walter isn't anywhere near giving it. He's still protesting and dissembling, trying to deflect her suspicion by swearing that he's not having an affair. "No more of these obvious desperate breakfasts," she demands. What's really going on? But he claims not to know what she wants. And the whole plan of reclaiming his family, originated in his epiphany last week, goes up in smoke because he can't be honest about what's taken him away from them. Desperate, frustrated, angry, and impotent, Walter gives Jesse something short of his half of the money in a diaper disposal bag. And Skylar, equally desperate, reaches for her one outlet, despite the disapproval of the woman in the next car: a deep drag on a cigarette. 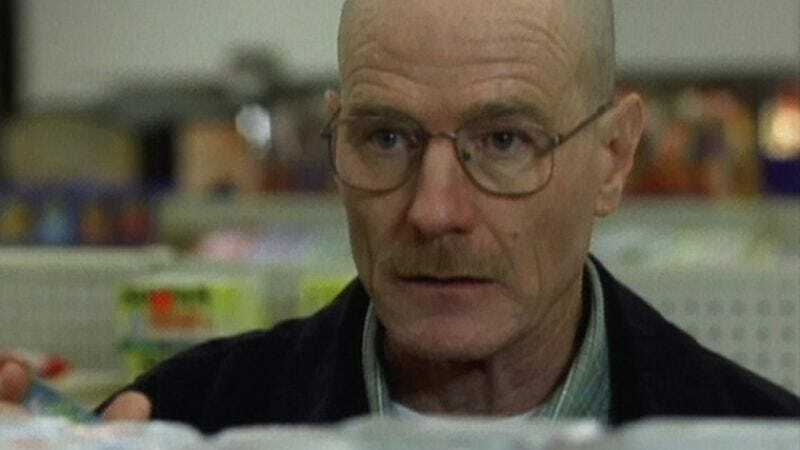 "There's the easy way, and there's the right way," Walter counsels Walt Jr., who has been learning to drive with his right foot on the gas and his left foot on the brake. When his son protests that his legs won't work moving from pedal to pedal, Walter tells him, "Don't put limits on yourself." Is there any way for these trapped spouses to take that advice? - Don't forget — there's still time to enter to win Breaking Bad swag, including the grand prize: Jesse's actual hoodie. Yes, as worn by Aaron Paul in this episode. Enter here, enter now, enter as often as allowed by law. - "Steely Dan? In terms of pure musicianship, I'd put them up against any current band you can name. Boz Scaggs, there's another one." - "What happened is that you are a speed manufacturer." - "Thanks, Daddy Warbucks, but that was before my housing situation went completely testicular on me, all right?" - "Jessematic, livin' the dream!"